Affordable email marketing plans for any budget. Plus price matching guarantee. Whether you're a startup or a large business we have a plan for you. MyBizMailer plans are the lowest on the market so you can advertise and be in touch with your customers at any budget. Your plan with MyBizMailer will get automatically adjusted as your subscriber list grows or shrinks. You can always upgrade or downgrade at any time. What is the difference between these plans? These plans are based on the number of emails you plan to send per month. Sending based plans are great for people who don’t send a lot of email blasts per month, or have a huge subscriber list, but do not contact them often. So if you only send few email campaigns or newsletters per month then this option may be the perfect one for you. This plan does not have any daily sending limit. So you could email as little or as much as you want at any time. These plans are perfect if you send campaigns or newsletters rarely to your subscribers, or if you use the service for company notification and press releases only. They offer no subscriptions fees and you could add credits (email sends) to your account as you need them. These plans offer the same feature as other plans and could have dedicated IPs for a monthly price. We also offer a Forever Free plan and a 20% discount for non-profit organizations. If you need a custom plan for your email marketing needs or need to apply for our 100% price matching guarantee? Contact us for a custom quote. These plans are perfect for large senders who are looking to send as much as 50,000,000 emails per month. MyBizMailer offers the perfect pricing loaded with features and great customer support. If you want to send more than 1M emails a month contact us and we could easily create a custom plan for you. Extended detail reporting and monitoring. Load balancing and IP rotation. Custom DKIM, SPF for your sending domains. Each high volume sending account gets constant reviews by our delivery team to increase inbox rates and suggestions on campaign performance. A dedicated IP is your own special internet address that only you use to send emails. This insures that only you affect your own reputation. In most situations, clients use a shared IP with many other clients, sometimes even hundreds sharing the same IP. With this dedicated option you can remove yourself from the crowd, thereby insuring your best reputation and getting into the inbox. These options are available for $20 per month. Simply tell your sales representative that you would like this option enabled in your account. MyBizMailer offers both monthly, quarterly, semi-anual and annual plans. After your initial subscription fee, you may cancel your account at any time. Though we will regret to see you go, if you must cancel your account, please do so before your renewal date or you will be charged your next plan subscription fee. MyBizMailer will not prorate or refund our service if you fail to cancel your account prior to your renewal fee. Our goal is 100 percent customer satisfaction. 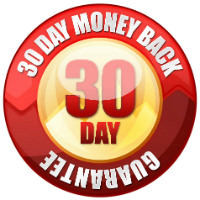 Here at MyBizMailer, we offer 30-day money back guarantee if for any reason, you're not with our services. Please read our Refund Policy for more details. Please note that until you complete your cancellation request, your account will still be charged, depending on your account type. Inactivity in your account does not constitute a cancellation, and you will be responsible for any outstanding balances and related collection costs incurred in such time.